In the article “Has the Silence Been Broken? Catholic Theological Ethics and Racial Justice” in Theological Studies Journal (March, 2014), Father Bryan Massingale, Ph.D., of Marquette University discusses what he calls “the theological silence” about racism in America. Fr. Massingale uses phrases like “deafening and appalling silence,” “embarrassed silence” and “shocking theological silence” regarding racism in the United States. There is no reference to, much less discussion of, the well-documented, racially-targeted abortion businesses in the United States. There is no mention of the deaths of over 12,000,000 minority babies since the Roe decision. There is no general theological condemnation of those public officials and political parties that advocate or promote policies which empower the killings. For several reasons, the “theological silence” regarding racially-targeted abortions is more shocking than the silence about racism in general. If our social order “treats the bodies of poor women with disdain,” as stated in the article, it treats the bodies of poor women’s babies with utter contempt: the contempt shown the Holy Innocents, the contempt Jesus endured on the Way of the Cross, and the contempt shown to him when he was crucified on Calvary. “Demonic contempt” is the only way to describe how babies are treated by Planned Parenthood in its harvesting and selling of baby parts, baby organs, and intact entire babies who have been left to die before they are sold. The article refers to white “Christians” who lynched nearly 5,000 black men and women between 1889 and 1940 and describes lynching as “brutally savage, extrajudicial, sadistic torture” and “killing.” No less horrible, and in some cases more horrible, are the painful deaths of minority unborn babies targeted for abortion simply because of their race. Unlike aborted babies, the bodies of the victims of lynching were never sold, nor were their organs harvested for profit. In any given single week in the United States, the number of minority abortions is well in excess of 5,000. Like those in the past who were involved in lynchings, many involved in today’s killing call themselves “Christian.” They are abortionists, their nurses, support staff and business employees. Unlike the “Christian” lynch mobs of the past, these contemporary “Christian” killers are not exclusively white, but are themselves black, Latino and every other race. What the Ku Klux Klan and other racists could not achieve (Margaret Sanger’s dream of ridding America of the black, brown and yellow “human undergrowth”) abortion businesses like Planned Parenthood and its political supporters have and are achieving in beyond-Holocaust scale. As heinous and evil as the Klan lynchings were, the actions of Planned Parenthood have produced an entirely new level of evil, a heretofore unknown paradigm of the demonic. Fr. Massingale’s article refers to an agenda that includes “a renewed understanding of both conscience and the challenge of conscience formation.” The Catechism of the Catholic Church, beginning at paragraph 1783, teaches us that a well-formed conscience is “informed” and “enlightened.” We are taught, “The education of conscience is indispensable for human beings who are subjected to negative influences and tempted by sin to prefer their own judgment and to reject authoritative teachings.” Since he has written on this subject, could it be suggested that Fr. Massingale has a well-formed conscience on racism? Yet, in his article he ignores racially-targeted abortion. This seems to be part of a greater pattern of behavior on the part of Catholics in general. 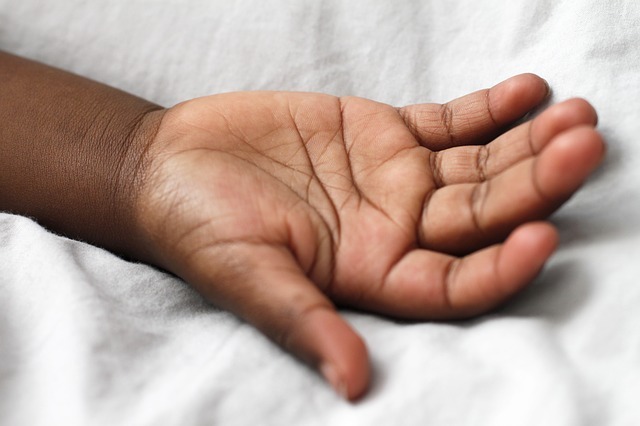 The silence of theologians and of many others, including many in authority in the Church, regarding racially-targeted abortions is more “appalling,” “shocking” and “deafening” than the theological silence regarding racism in general. If theologians have been exhorted to break the silence about racism, they should be required to break the silence about racially-targeted abortions. Otherwise they should be forever silent themselves about anything to do with theology, be mute forever about anything regarding Theologos.